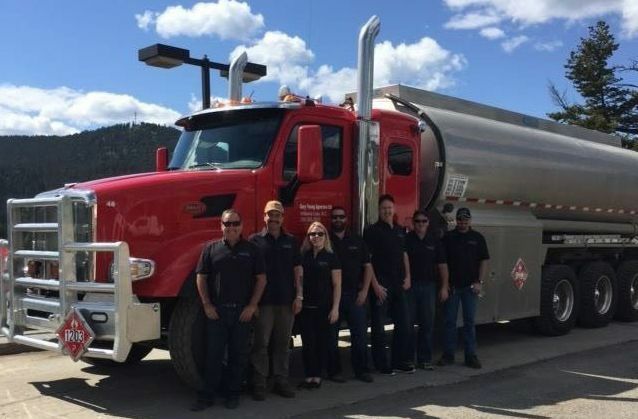 Gary Young Agencies Ltd has been providing the necessary fuel to power industry since September 1999, when Gary Young became an Imperial Oil Agent. Through his many years spent in the fuel and lubricant industry, Gary Young brings a wealth of knowledge to our company. Our head office is located in Prince George, BC, and we have branches in Mackenzie and Williams Lake, supporting BC industries everywhere. We serve a diverse range of customers, including the farming, mining, and railway industries, as well as residential clients. We strive to be at the forefront of our industry, and are proud to continuously adapt to our territory’s evolving requirements. As a value-driven company, we are also dedicated to serving our greater community. Gary Young Agencies Ltd cares about the health and safety of our employees, customers, and the environment. That’s why we are proud of our relationship with Imperial Oil, an industry leader committed to researching and developing technologies to harvest Canada’s resources while minimizing environmental impact. To learn more about what Imperial Oil is doing to prioritize health and safety, please see the company’s policy on Operations Integrity. Need fuel? Contact us today to get some delivered to your worksite!